The Reaching Your Dream Foundation presents its 5th Annual Spring Fun-Raiser Racquetball Tournament at Livermore Valley Tennis Club (2000 Arroyo Road, Livermore, CA 94550) on Saturday, April 27th and Sunday, April 28th. Play will start at 8am and finish by 7pm (or as close to it as possible!). All proceeds from this tournament will support the programming of RYDF, a non-profit organization founded to promote health and fitness through sports, and in particular, racquetball. Please visit http://give2rydf.org/ to learn more about RYDF and its programs and how you can help! This is a CNRA/USAR sanctioned, shoot-out style tournament with four divisions over two days. All divisions are pool play, with the top teams advancing to the playoffs. The best part about pool play is that you are guaranteed to play multiple games, regardless of your win/loss record. Each division will begin and end within roughly 4-6 hours. You must be a current USAR member to play. 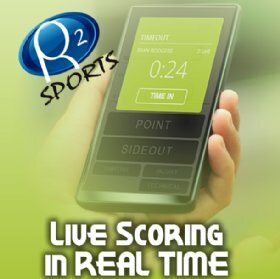 If you are new to tournaments or need to renew, your membership can be taken care of in advance at https://www.r2sports.com/membership/login.asp? or in person when you check in at the tournament. The annual membership is $50 and the single tournament membership is a $20 fee. A Doubles: Morning (8am start) Currently sold out; contact me for wait list! Please sign up ASAP by registering online or by contacting me via email or phone/text. The deadline is Tuesday, April 23rd.